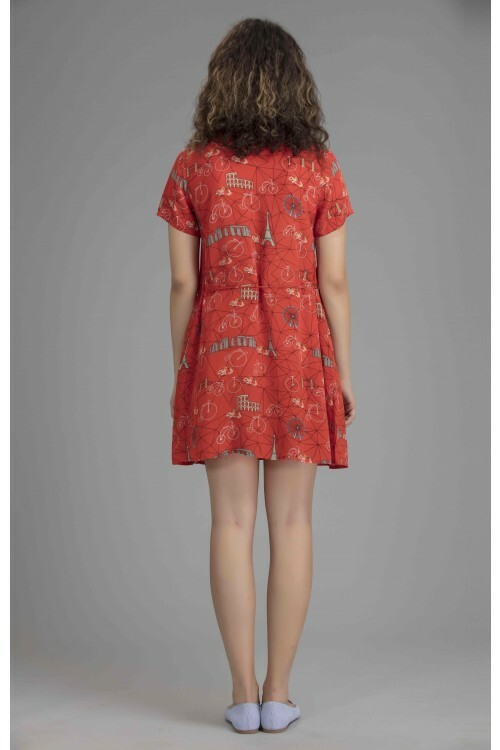 A boho dress, in one of our most fashionable prints Parisienne Red. Made from crepe viscose, the style is pert and pretty with the hem ending just above your knees. While the length makes it perfect to show off your tan, a tie at the waist gives you a flattering shape. What’s more, the tie comes separately, so you can knot it any which way you choose. Swing from looking casually chic at work to romantically stylish in the evening.